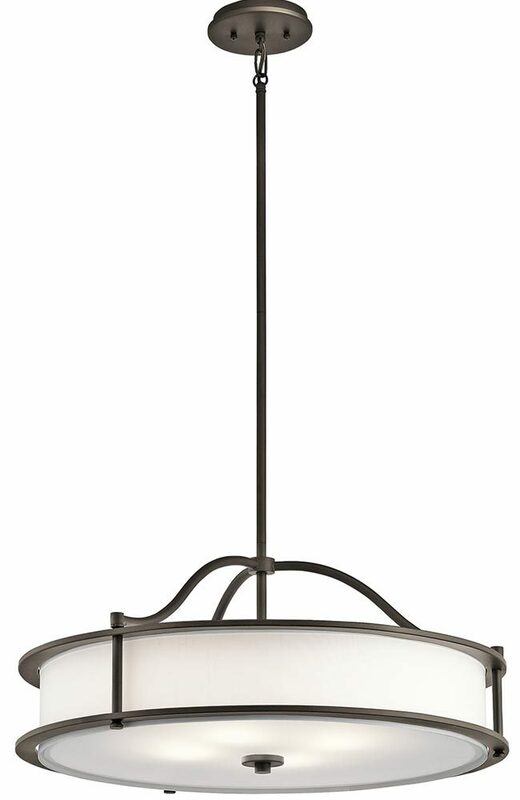 This Kichler Emory medium 4 light pendant or semi flush ceiling light in olde bronze finish boasts modern nostalgic style. Featuring a circular ceiling mount, rod suspension and curved support arms, with a 61cm diameter off-white fabric drum shade and lower glass diffuser. This light gives a lovely soft light through the sides and lower glass whilst the open top allows light to bounce off the ceiling and into the room. This is a dual mount bronze finish ceiling light supplied with two 15cm and two 30cm rods that can be used in any combination or fitted as a semi-flush as shown in the image. Please see the technical information below for minimum and maximum heights. 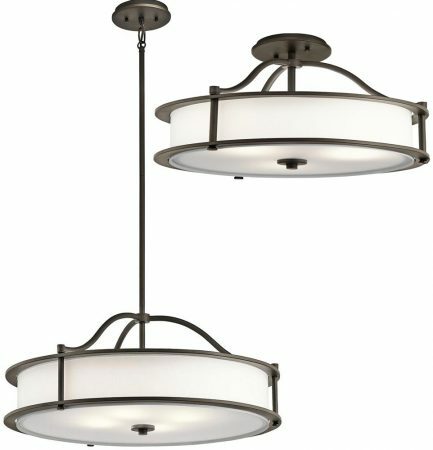 There is a smaller matching olde bronze three-light dual mount fitting available and also available finished in classic pewter; please see below for the complete collection. 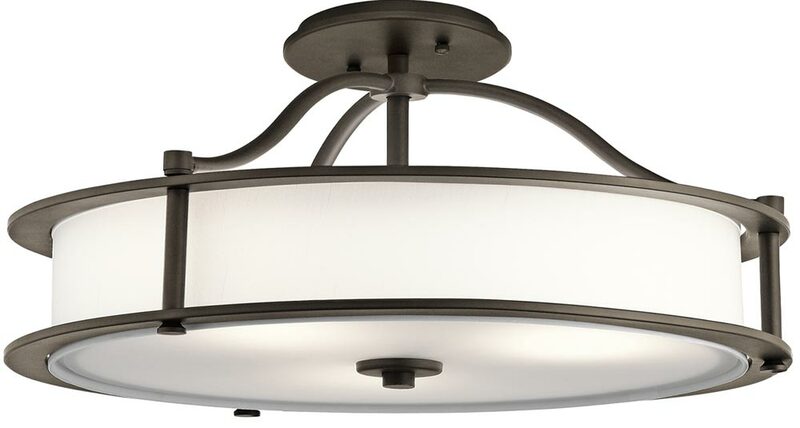 This dual mount light is supplied by Elstead Lighting and designed in the USA by Kichler who were founded in 1938. 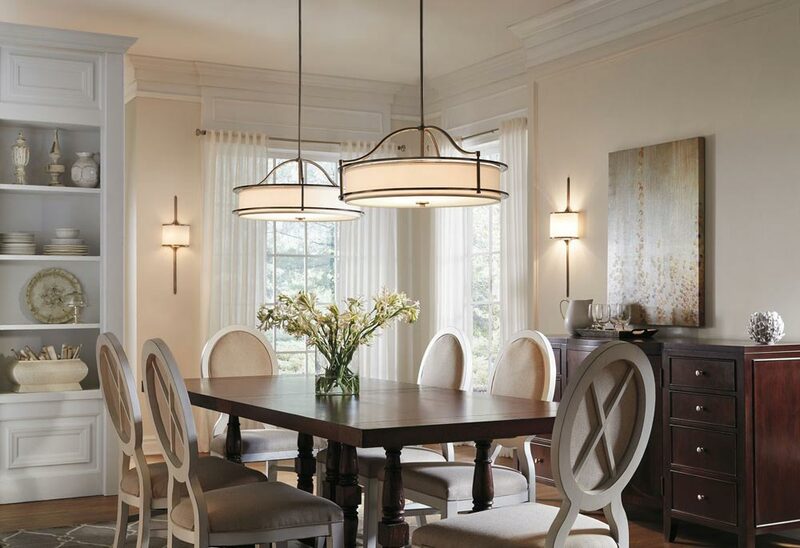 They design beautiful home lighting products featuring award-winning craftsmanship and unparalleled quality, such as the Emory medium 4 light pendant or semi flush ceiling light in olde bronze finish you see here.